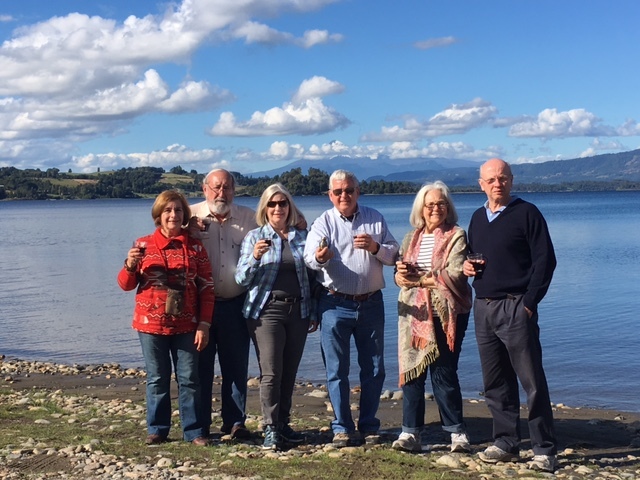 Late summer days around Lago Panguipulli in southern Chile can be bright, crystal sharp, and quiet. Serene would be the best way to describe the day in early March when three buddies, from a Peace Corps group that arrived in Chile fifty years ago, shuffled quietly to the lake shore, along with our wives, opened a bottle of Casa Silva Lolol Syrah, and began the task that had brought us there, to deliver the remains of our recently departed colleague and friend, Bruce Burwell. Bruce was our Peace Corps group’s unofficial and uncontested spiritual leader, from the day we met him in the summer of 1967 in Campo Armac near Bothell, Washington. We had all traveled from around the US by plane to Seattle, then bus or taxi to our training center. Most of us had already arrived, and we were just roaming around, getting to know the camp and each other when, leaving a cloud of dust behind, Bruce Burwell drove into the center of the camp, jumped out of the over sized Buick (or some such gas guzzler), grabbed his bag from the trunk, tossed the car keys to the passenger who it turns out had purchased Bruce’s car, and while his car disappeared out of his life he inserted himself straight into ours. From then on Bruce was affectionately and appropriately nicknamed “Oso” because he was a massive man, not tall, just massive, who lumbered when he walked. He had the biggest hands ever. He did not growl, but, like “Teddy” and “Smokey”, was tender and friendly, if not cuddly. “OSO” from that day on would be one of the largest personalities inhabiting my life. No single anecdote is sufficient to explain him. 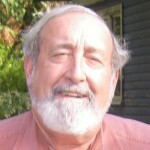 His life, and our relationship, was a never ending flow of anecdotes: crazy travels through Argentina, Uruguay, and Brazil; forestry activities in southern Chile where his deep knowledge of forestry and the woods made every moment together with him a learning experience, and always an enjoyable one. No situation was too complicated or difficult for Oso. He could deal with anything. Some of us sort of assigned him a father roll, maybe because he was a good decade older, but also because he had that soft but firm touch of a father, not so much like a brother. In our group we were all brothers, but he was, well, at times our father. Over the years we met many times in Seattle, Santiago, and Washington. When our paths would cross, a deep sense of comfort would set in. If Oso was there, things were good, and we could tackle anything. He gave us that feeling. 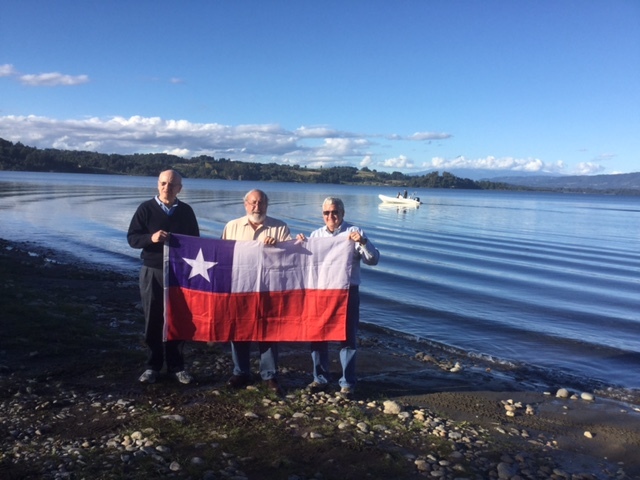 Panguipulli was the first place in Chile that “Oso” lived. Here he was in his element. 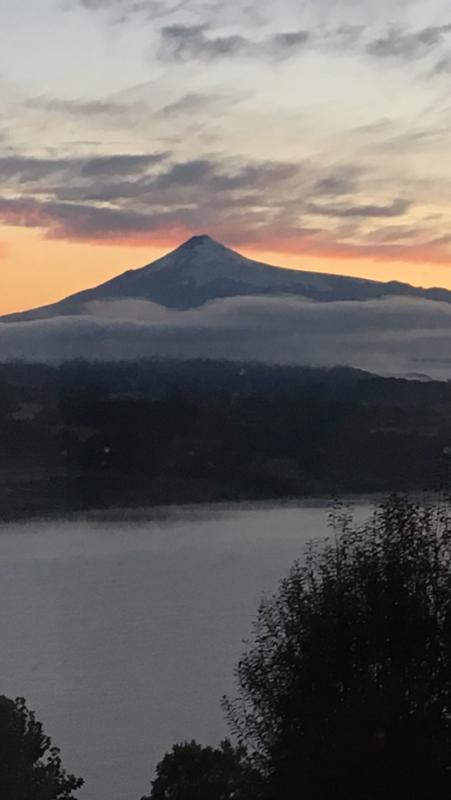 Hours away from the city where his supervisors sat, and deep into the foothills of the towering Andes, within sight of the magnificent snow capped and active Villarrica and Mocho-Choshuenco Volcanoes. When he arrived, the town had no paved roads and was a collection of wooden houses with chimenies sending spires of white smoke into the sky most of the year to nip the cool, humid air inside these cozy homes. The town then, and to this day, emits a pervasive hint of wood smoke which for foresters like Oso is sweeter than fresh air. He lived in a boarding house and took his meals there. He loved Panguipulli, its surroundings, and her people. 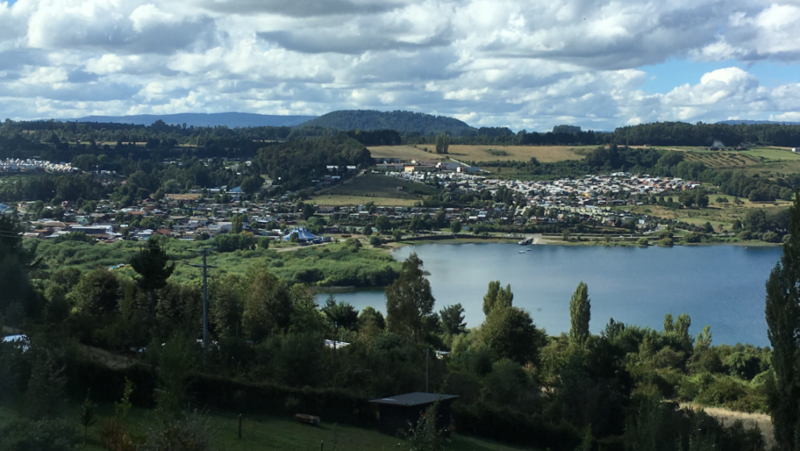 The Valdivian native forest which surrounded Panguipulli was Oso’s natural habitat.The name of the town means hill of the puma, in the Mapuche language of Mapundungun. 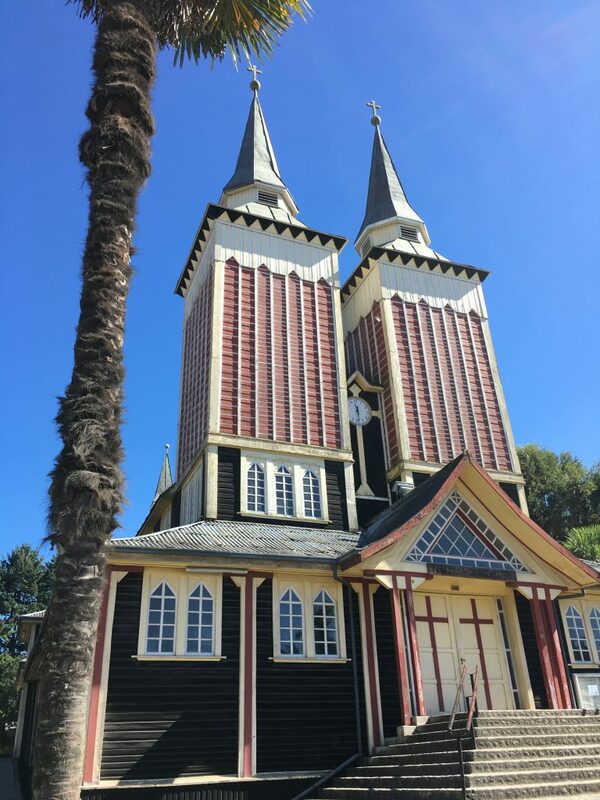 Panguipulli was first the home of Mapuche families, later settled by Capuchin priests. The twin spired wooden church that still sits in the center of town was, when Oso moved there in 1967, younger than he. 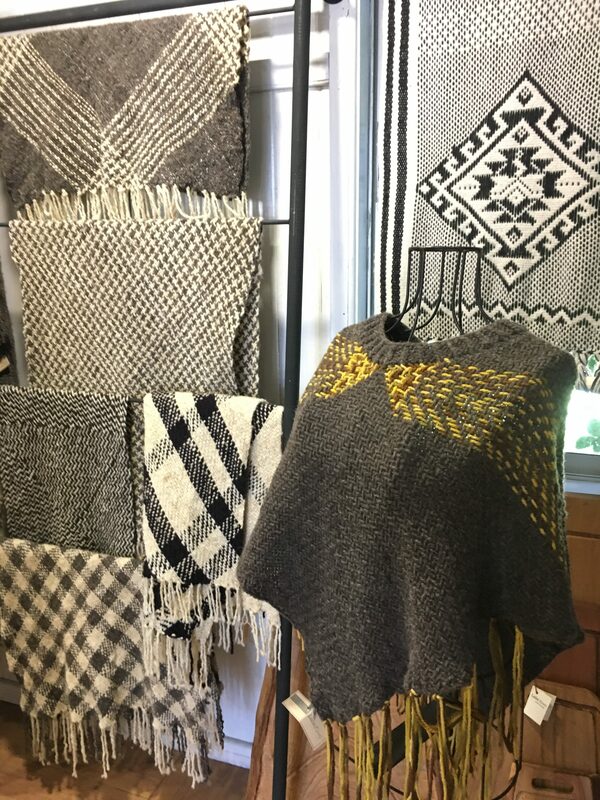 Everyone wore thick woven ponchos with subtle earth toned mapuche designs, now available for sale in the artisan cooperative building located next to the old church. I still have the one I bought in Panguipulli when I visited Oso there in 1968; I cherish the warmth and the memories that poncho provides. As you would expect, Oso took full advantage of his time in Chile. He left Panguipulli towards the end of his initial volunteer tour and lived in Valdivia for awhile and then Santiago. 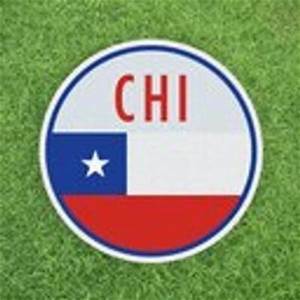 Before leaving Chile he made the life-changing decision so many young men make who are fortunate enough to spend time in this beautiful country; he married, and subsequently raised a bi-national (and probably multi-cultural) family. 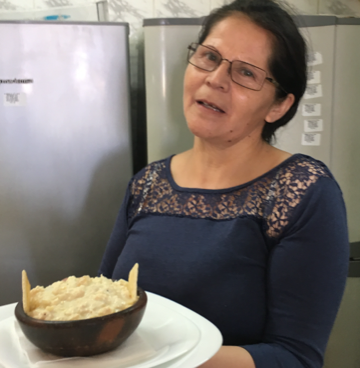 He returned regularly to Chile, where he always had a welcoming place to stay, with his wife’s family, old colleagues, but usually his good friend, the Peace Corps driver, Damian. It seems only fitting that the last few years of Oso’s life were spent living in Alaska, an environment not unlike Panguipulli. As was his way, he went there to help out a family member with a forestry operation. But he also volunteered with Americorp, and helped unload the seaplane that provided the most direct connection between his very isolated town and the closest city. He stayed in Alaska until he could no longer defend himself from the rigors and elements of that relatively wild place. 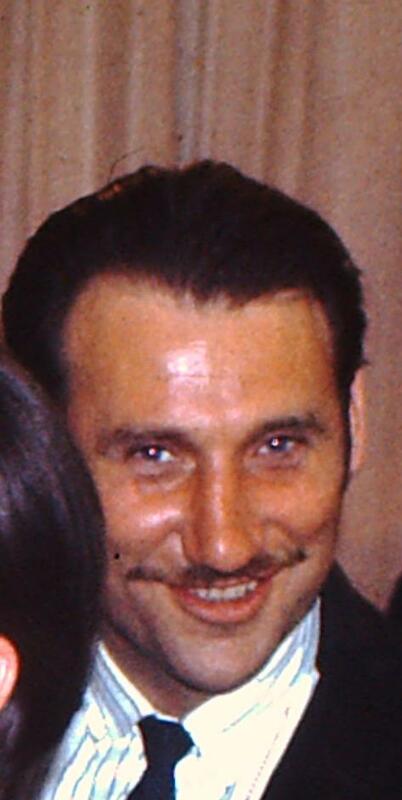 Just before he left Alaska, at his children’s urging, he told me he had gone full circle from the day he arrived in Chile with all the belongings he would need for two years in one steamer trunk, to again able to fit all his worldly belongings in the same trunk. Oso collected stamps, coins, friends, and memories…not stuff. Finally, John took the top off the small urn with the ashes, and slowly began to urge them out into the rippling waters of Lago Panguipulli. At first they seemed reticent to scatter, but they finally did, with resolve, as if they had finally recognized where they were, and then willingly joined the familiar waters of his lake. 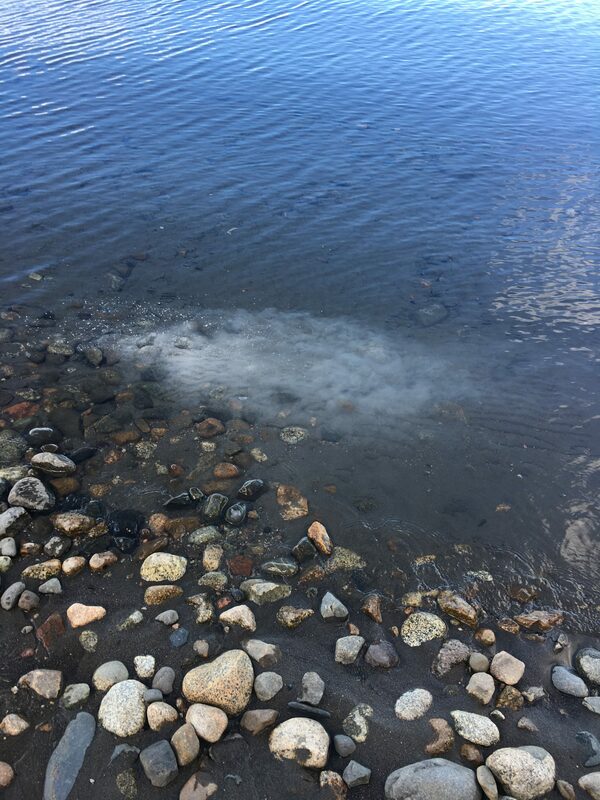 Of course emotions and thoughts of the past were crowding our memories as we watched in silence as the ashes were absorbed into Lago Panguipulli. But the occasion also coaxed us to look ahead, for we all know all so well that Oso is just a little bit ahead of us. He always was. 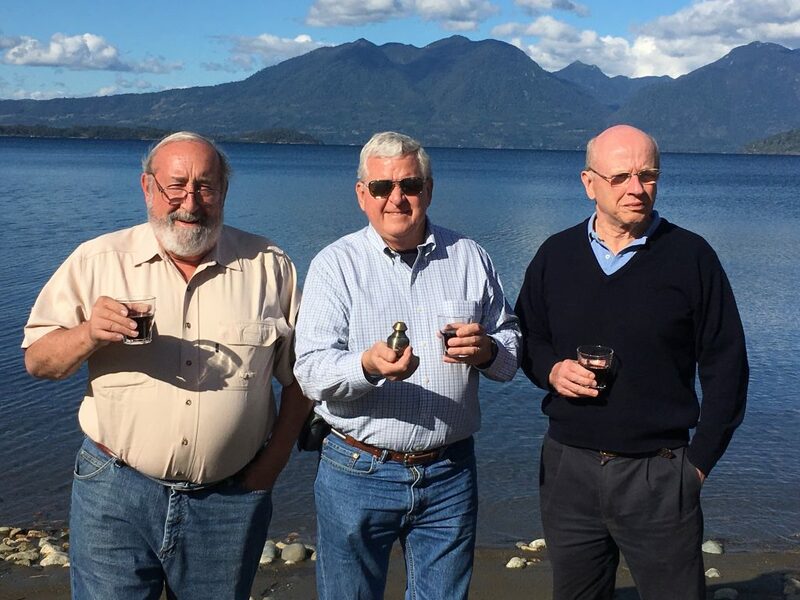 And that’s comforting, for when we, too, are returned to our own “Panguipulli”, Oso will surely have the campfire going, the cork out of the bottle of Chilean tinto, a story (maybe true, maybe not) ready to be told, and a big bear hug to warm and comfort us from our similar journey. Posted in Santiago, Chile. March 13, 2017. Your absolute best ever….which is only fitting. David, today, I will not be able to write. My eyes are too wet. Beautifully written eulogy for our gran amigo, Oso. I’m certain he’s happy to be back in Chile Lindo. Great tribute, Dave. Thanks for putting into words what so many people feel about Oso. Thank you, Dave, for your eloquence and thoughtful comments about our dear friend Oso. Your gift of capturing the man, his life, and our love for him in careful prose made him come to life once again for me. He was a special person and we all enjoyed his wit, his music, and his Oso hugs.I am so sorry that I could not join you all in Chile for this latest reunion. No doubt you all shared many stories of the “old days” (and a few glasses of tinto) as well as the many adventures you all have had since 1969. May the road and the days be short before another gathering of my old PC group is in the offing and I promise I will be there. Thanks, Dave. Made me feel like I knew him. Sorry about the loss of your dear friend. It is always hard. Chile looks like an extremely beautiful country with many agnificent vistas. I do want to ask though. 6 of you shared one bottle of vino. Come on tell tge truth, surely at least two. Truth is relative these days, and facts are fiction. Your guess is right on the money. A worthy, well-done, and moving euology to “Oso”. I will always remember him as a unique character, good man, and special friend. He will be missed, but leaves behind alot of fond memories. Que me guardes un asiento all arriba!